The Durango High School boys soccer team ended its regular season Friday night with a 2-0 win over Fruita Monument. 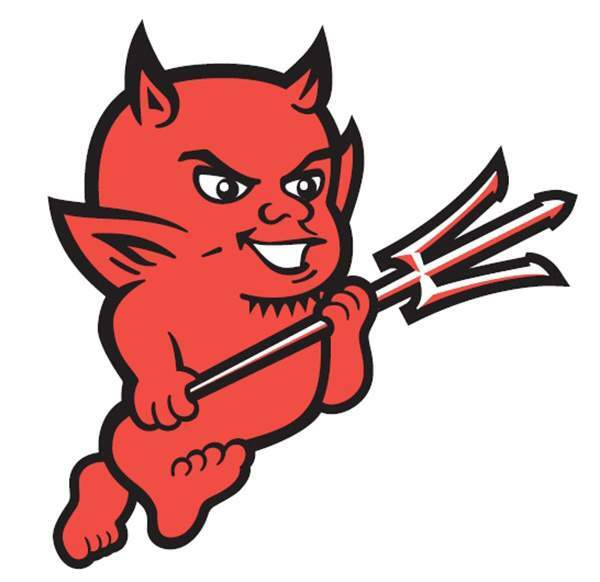 The Demons, who are ranked No. 2 in the latest Colorado High School Activities Association coaches poll and No. 4 in the latest RPI rankings, put on an impressive defensive performance and gave up just two shots in the match. Durango rebounded Friday after earning a tie last weekend against Grand Junction, and the offense found up its rhythm again. Senior forward Lance Townsend opened the scoring with a goal in the 30th minute with an assist from junior midfielder Leland Heinicke, which put the Demons up 1-0. That was the score at halftime as the Demons allowed just one shot in the half. Durango’s potent offense would add more in the second half. In the 76th minute, senior forward Jack Beattie found the back of the net off of a cross from senior midfielder Logan Fullington. Durango held the Wildcats (6-8-1, 3-5 5A/4A Southwestern League) to just one corner kick during the match in addition to the two shots. Freshman goalkeeper Levi Larson earned his sixth shutout of the season. Head coach Aaron Champenoy was pleased with his team’s performance, particularly from the back line. With the win, Durango (13-1-1, 7-0-1 SWL) clinched its sixth consecutive league title. Durango will find out its postseason fate when the Class 4A bracket will be announced on Monday. Alamosa 1, Bayfield 0Alamosa High School defeated the Bayfield boys soccer team 1-0 with a late game-winner Saturday in Alamosa. The Mean Moose (7-7-1, 5-0-1 Intermountain League) scored the game-winning goal in the 78th minute, with just two minutes remaining. Junior forward Esteban Antonio scored a screamer that beat senior goalkeeper Bailee Blakeslee. The Wolverines (2-13, 1-5 IML) ended their season with a loss, but head coach Chris Zoltowski was proud of his team’s effort. VolleyballThe Durango High School volleyball team lost in four sets to Montrose Saturday morning, falling 16-25, 15-25, 25-16 and 19-25. The Demons (7-11, 3-5 SWL) were led by senior middle blocker Taylor Wolf, who had 11 kills, sophomore setter Paige Ammerman had 20 assists and junior outside hitter Millie O’Ketter had six digs. Senior outside hitter Maura Fitzpatrick registered five blocks in the loss. Montrose (13-6, 6-2 SWL) were led by junior outside hitter Madison Satterly, who had 15 kills in the win for the Indians, while senior libero Victoria Martinez had 19 digs. Head coach Colleen Vogt thought Durango fought hard and the offense was fluid, despite the loss. “I thought we came back well in game three and we played fast and crisp,” Vogt said. Durango will end its season against Bayfield at 6 p.m. Tuesday at Durango High School. Ignacio 3, Norwood 0The Ignacio High School volleyball team ended its home schedule with a win Saturday against Norwood. The Bobcats (7-12, 6-7 San Juan Basin League) won in straight sets, 25-20, 25-20 and 25-21 over the Mavericks (3-15, 3-9 SJBL). Statistics were not made available. The Bobcats will square off against Montezuma-Cortez at 4 p.m. Tuesday in Cortez.